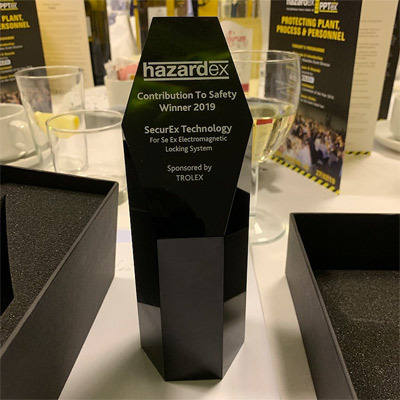 Securex Technology is very proud to announce that it has won the prestigious Contribution to Safety Award at the HAZARDEX Awards 2019. The Contribution to safety award is specifically given for a product, system or service which has made a contribution to safety in hazardous area environments. 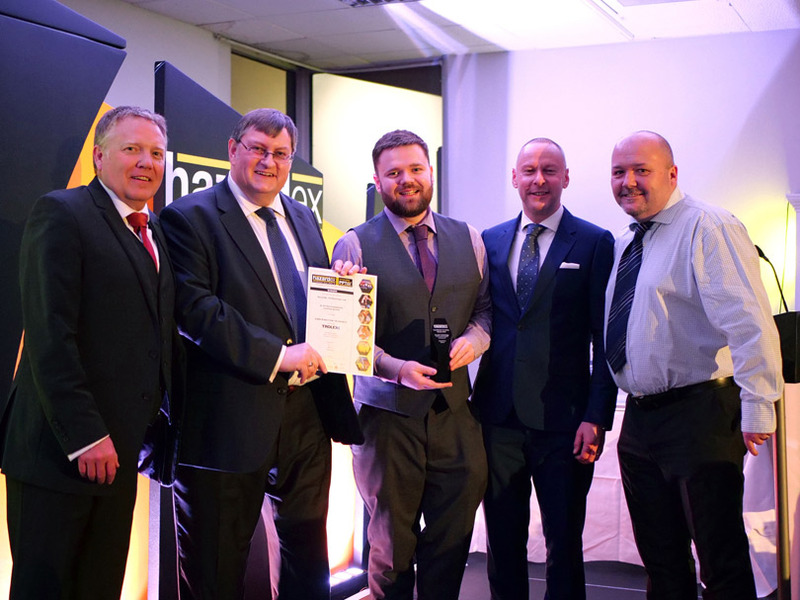 SecurEx was shortlisted this year for its innovative and ‘World first’ Sx Ex Electromagnetic Locking system and won the award in the face of strong competition from larger companies. This new product for the first time brings an ATEX & IECEx certified ‘Mag-Bar’ product to the hazardous marketplace as well as incorporating additional features in the ‘high security’ product variants which are not even currently available on any safe area equivalent products. SecurEx lead the way in innovating security products and solutions used to enhance personnel security in hazardous areas and this unique product has been recognized for what it is - the true first product of its kind, capable of Improving both security and safety of personnel at the same time in an ever more dangerous world. Securex Technology is proud to announce that it has been short listed as a finalist in the prestigious ‘Contribution to Safety’ category at the forthcoming HAZARDEX Awards in Feb 2019. The Contribution to safety award is specifically for a product, system or service which has made a contribution to safety in hazardous area environments. SecurEx has been shortlisted this year for its innovative and ‘World first’ Sx Ex Electromagnetic Locking system. This product for the first time brings an ATEX & IECEx certified ‘Mag-Bar’ product to the hazardous marketplace as well as incorporating additional features in the ‘high security’ product variants which are not even currently available on any safe area equivalent products. SecurEx lead the way in innovating security products and solutions used to enhance personnel security in hazardous areas. This unique product has been recognized and shortlisted for what it is - the true first product of its kind, capable of Improving both security and safety of personnel at the same time in an ever more dangerous world. The SX EX ABRYLL HIGH SECURITY LOCK has recently been purchased in ‘SR4’ configuration for a high security Critical National Infrastructure (CNI) application in the UK. Providing the ultimate physical security solution for Ex hazardous areas Zones 1, 2, 21 & 22, the SX Ex Abryll is a unique product with a proven pedigree. Now available in both 12 & 24V DC versions this high security lock is the product of choice for discerning clients requiring absolute security. The SX EX ABRYLL HIGH SECURITY LOCK Is a High Security Single Point Locking System that can be configured with a multitude of functions including Panic and Emergency Escape, Mechanical and Electro-Mechanical Deadlocking. 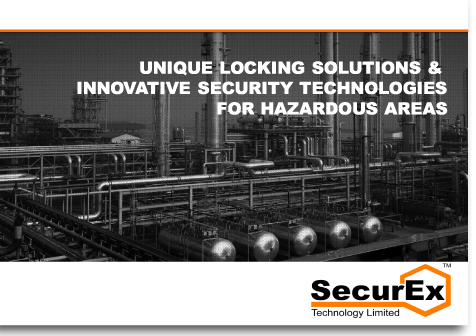 The lock has been developed by SecurEx Technology & MICO Tindall Engineering working in close partnership thereby bringing together an unrivaled combination of security and hazardous area expertise to create a truly unique and innovative product. The standard MICO Abryll Range has already established itself as the most approved Single Point Locking Range for high security applications. Now this superior locking technology is available in a specially re-designed and certified form for use in Ex Zones 1, 2, 21 & 22 Hazardous areas. Manufactured from 316L stainless steel as standard the SX EX ABRYLL offers a robust, high security solution for the harshest of environments. Designed with versions for left or right handed, inward or outward opening doors, fail safe or fail secured applications, with or without emergency escape facility*, the SX EX ABRYLL is suitable for virtually all security applications to be found in hazardous environments. 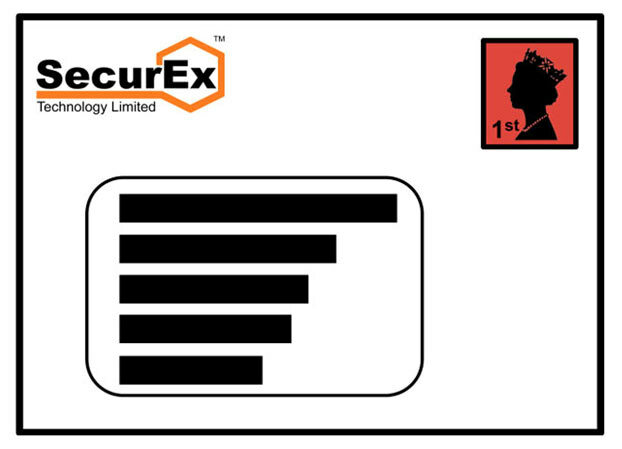 SescurEx are proud to announce the release of yet another world-first product; the new SX EX SECURITY CONTACT RANGE. These security contacts are the latest members of our unique SX product family, comprising products which have all been specially designed for use in hazardous (Ex) environments. Robust and reliable, the new security contacts are the first security contacts ever produced specifically designed for use in Ex classified Hazardous areas. The contacts, which are both ATEX & IECEx certified, fill a previously unaddressed gap in security for hazardous area applications. The new product range provides a highly effective security solution for intruder detection, alarming and access control applications in Ex classified hazardous areas. Designed to meet the requirements for direct connection to Grade 2 & Grade 3 rated systems the new contact range has been designed with form and function in mind being directly comparable to standard Grade 2 and Grade 3 contacts in both size and operation. Both contact and actuator magnet are housed in robust machined finish stainless steel bodies. A wide range of configurations are available allowing the contacts to work with both our own and third party alarm systems, door controllers and access systems. 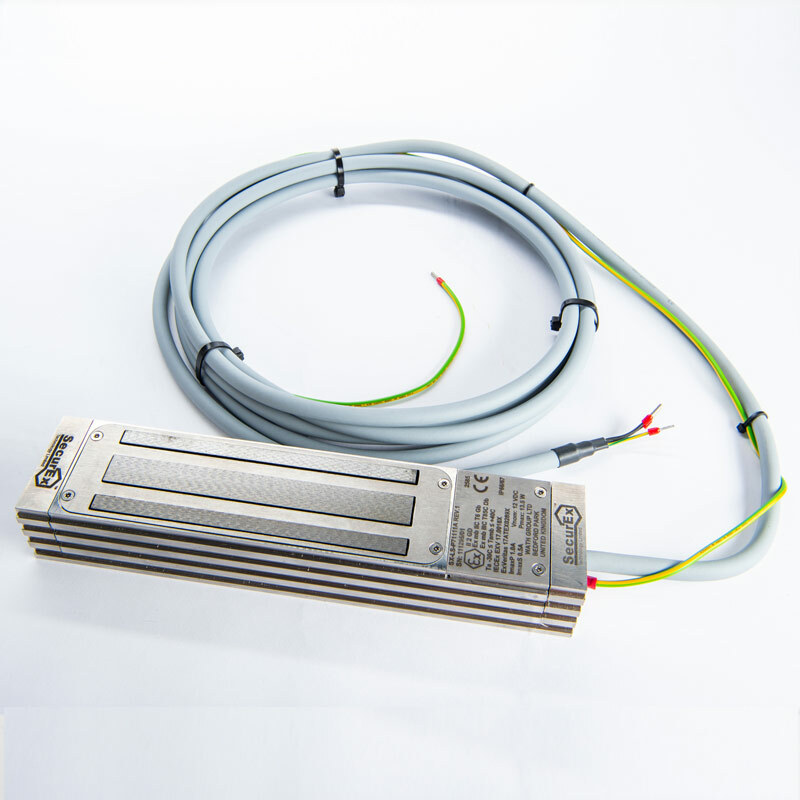 The SX EX ELECTROMAGNETIC LOCK released earlier this year is now selling in significant volumes and is being used in wide variety of applications around the globe. The new lock is the only lock of its kind to be fully certified for Ex Zone 1, 2, 21 & 22 applications under ATEX & IECEx and it is therefore proving immensely popular as a highly effective and reliable security solution for access control applications in these Ex classified hazardous areas. With a strong 500kg holding force the unit has already been purchased for numerous applications in the UK, the European Community and the Middle East. So far the unit has found use with a diverse range of clients in the Oil, Gas, Petrochemical, Pharmaceutical, Automotive and Food & Beverage industries . 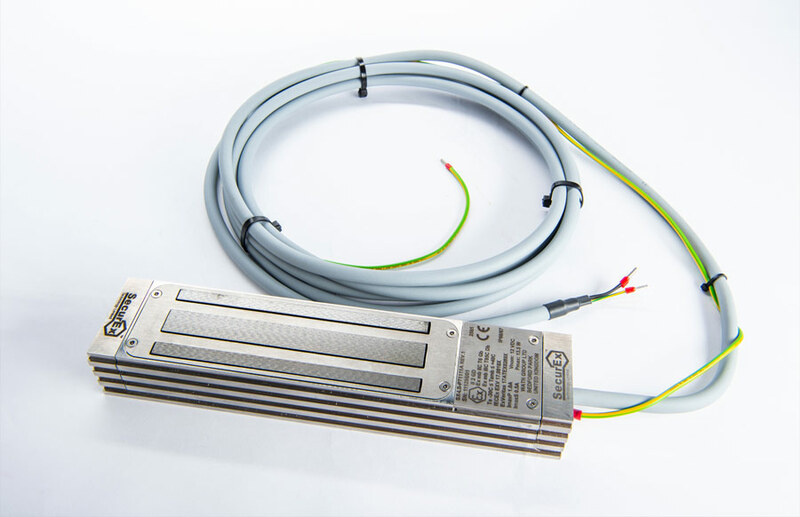 SecurEx is pleased to announce the release of a new range of standardised Device Connection Ex e JB’S. The new products add to our growing SX product family, and have been specially designed for use in hazardous (Ex) environments. All of the new Ex e certified JB’s have been designed to facilitate easy device connection either with our door controller and access products or with approved third party components. They provide a local cable marshaling and connection solution to single or multiple devices in Ex classified hazardous areas Zones 1, 2, 21 & 22. The new Ex e JB’s are all ‘Ex Certified’ products and are specially manufactured to SecurEx’s specifications based on a BPG Range Glass Reinforced Polyester Enclosure. Each box is designed to be installed on the secure side of door and be typically used to locally connect / extend cables to / from single to multiple devices. Externally each Ex e JB is pre-drilled and tapped to suit the specific configuration. Selection of the appropriate glands is the responsibility of the installer. However, standard Ex e Gland Kits comprising of two brass nickel-plated M16 Ex e cable glands are available as an option. The single device connector is illustrated above. SecurEx is pleased to announce the new SX EX HID R40 Series Readers which have now been added to our unique SX product family, and have been speciially designed for use in hazardous (Ex) environments. Robustly constructed and reliable, the reader works with both our door controller and access products or with third party ACU systems to provide a highly effective solution for access control in Ex classified hazardous areas. This unit consists of an ASSA ABLOY iCLASS SE® / multiCLASS SE® 13.56 MHz proximity card reader module housed in a robust Ex d cast aluminium alloy copper free enclosure with tempered glass viewing window enabling it to be used in Zone 1, 2, 21 & 22 hazardous areas. The reader module reads credit card passive transponder tags that can be programmed to restrict access. A configurable LED that can be seen through the viewing window indicates access verification. The unit is supplied without a user cable or a certified Ex d cable entry gland fitted. It is the responsibility of the installer / end user to supply and fit appropriate glands and cables to suit the installation. SecurEx Technology, the UK’s leading specialist provider of security products and solutions for hazardous areas is pleased to announce that over 20 SX EX Shootbolt Locks have now been supplied to a specialist ‘blue chip’ client in Dubai. SecurEx design and manufacture the unique SX product range of locking and security products, which have been specifically designed for use in hazardous (Ex) environments. The SX Ex Security Shootbolt Lock has proved a popular product with numerous clients due to its inherent strength and flexibility in operation. It has generated significant interest around the world but Dubai, as in so many other ways, is again leading the way in uptake of new innovative technologies such as this. In addition to the Shootbolt Locks, numerous standard SX EX Magnetic Door Contacts (as pictured above) were also supplied to the same client. SecurEx Technology, the UK’s leading specialist provider of security products and solutions for hazardous areas is pleased to announce the opening of its new offices and manufacturing facility in Wath-upon-Dearne, Rotherham. The modern new facilities provide a new start for SecurEx being purpose designed to support the planned future growth of the company in the foreseeable future. SecurEx new offices sit alongside those of our sister company The Wath Group who are SecurEx primary manufacturing and assembly partners for all electrical and electromechanical equipment’s built to ISO 9001, ATEX & IECEx standards. Our telephone number and usual email contacts all remain unchanged, but our Fax number will cease at the end of January 2018. SecurEx Technology, the UK’s leading specialist provider of security products and solutions for hazardous areas is pleased to announce that SX EX Shootbolt Locks and a range of matching accessories have now been supplied to a to an automotive integrator for installation at a major automotive plant in the NE of England. The popular SX Ex Security Shootbolt Lock has proved a popular product with numerous clients due to its inherent strength and flexibility in operation. For this particular application a pair of these units were supplied complete with their optional Breakdome kits and were also supplied along with our matching SX Ex REX PBs, Break-glass Units & Junction Boxes. In addition to the above SX Ex Standard Magnetic Door contacts were also supplied to the same client together with our new SX Ex Pull Cord REX units pictured below. These were used for the control and monitoring of roller doors in the same Ex zoned hazardous environment. SecurEx Technology, the UK’s leading specialist provider of security products and solutions for hazardous areas is pleased to announce that it is moving to new, bigger, more modern premises. 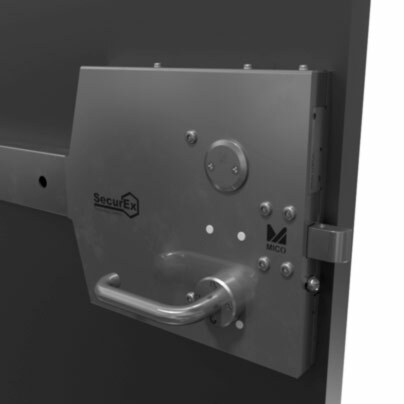 SecurEx design and manufacture the unique SX product range of locking and security products, which have been specifically designed for use in hazardous (Ex) environments. In order to allow for future growth and expansion of the business the phased move of SecurEx Technology’s operations will take place during December, with the current site fully closing as we enter the Christmas Break. 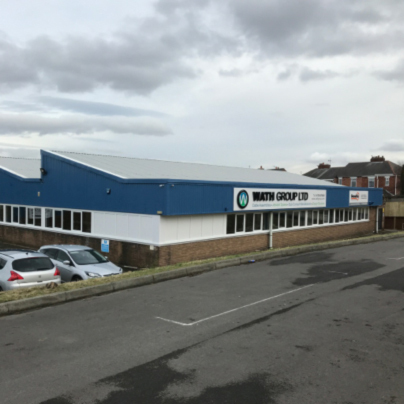 Our new premises remain close to our current roots, being co-located with our sister company The Wath Group at Bedford Park just 2.5km from our existing offices. Our Telephone, Fax, email and all other contact details will remain unchanged. 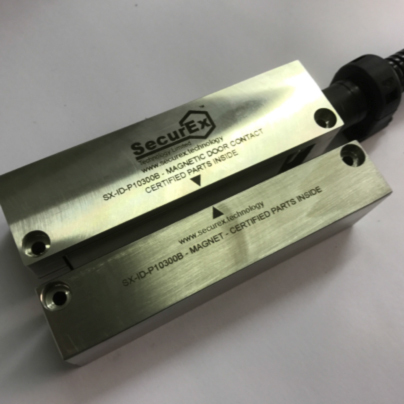 SecurEx Technology, the UK’s leading specialist provider of security products and solutions for hazardous areas is pleased to announce that it has recently supplied a consignment of SX EX SHOOTBOLT LOCKS & P-300 READERS to a leading Indian solution provider serving the Oil Gas & Chemicals sector. For this project SecurEx supplied the latest version of our SX Ex Standard Shootbolt lock. The newly released lock offers a cost effective solution for managing access control where a reliable locking solution is required but high security and high resistance to attack is not essential. Pictured above, the lock can be easily fitted to wooden, plastic, composite or light metal doors. The lock is ‘power locked – fail open’ with the shoot bolt latching into the receiver mechanism to secure the door. The catch mechanism is designed to ‘latch and lock’ as the door closes - even if the bolt is prematurely extended. If a ‘door closed’ status signal is also required, then our Ex door contacts can be separately supplied. Access control for this project was remotely managed through a third party system in a safe area, with our SX Ex P-300H readers providing the hazardous area interface for reading users credentials and enabling release of the locks. SecurEx Technology, the UK’s leading specialist provider of security products and solutions for hazardous areas is pleased to announce the launch of the worlds first true Ex certified security Magnetic Locking system. 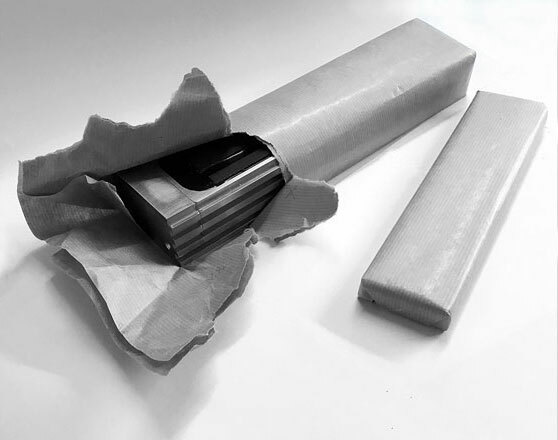 The 5th November (launch date) is a notorious date in the UK calendar associated as it is with the Gunpowder Plot, fireworks and things that go off with a bang, but our new locking system is designed to ensure things do not ‘go bang’ in a hazardous environment. Whilst Magbar’s and magnetic locks are quite common in safe areas, until now no real comparable solutions existed suitable for use in hazardous environments. With the launch of our new, unique market leading innovative product, all this changes. Our magnetic locking product has been designed with added security features designed in to ensure it stays ahead of the game for even longer. Developed by SecurEx and manufactured under license by our sister company The Wath Group the unique SX Magnetic Door Lock has been specifically designed to be a true ‘Ex Certified’ Security Locking product. Elegantly designed with both ‘form and function’ in mind, the lock is manufactured from a single solid block of 316L stainless steel and is supplied factory fitted with a 5-metre multicore user cable. Engineered to withstand loads of up to 500kg F, the unit may be fitted to left or right handed doors with cabling exiting to either the right or the left hand side as required to suit the installation. 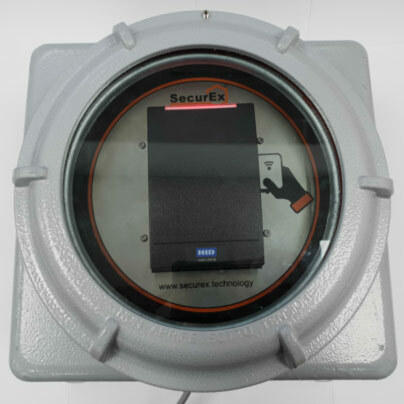 SecurEx Technology, the UK’s leading specialist provider of security products and solutions for hazardous areas is pleased to announce that it will shortly be launching the worlds first true Ex certified security Magnetic Locking system. THE WRAPS COME OFF ON 5TH NOVEMBER 2017. The 5th November is a notorious date in the UK calendar associated as it is with the Gunpowder Plot, fireworks and things that go off with a bang. Whilst the new locking system is designed to ensure things do not ‘go bang’ in a hazardous environment, the 5th November is sure to be a memorable date for a unique product launch. Whilst Magbar’s and magnetic locks are quite common in safe areas, until now no real comparable solutions existed suitable for use in hazardous environments. With the launch of our unique market leading and innovative product, all this changes – and the product has also been designed with added security features to ensure it stays ahead of the game for even longer. Register your interest now on our site for what we are sure will be an explosive launch. SecurEx Technology, the UK’s leading specialist provider of security products and solutions for hazardous areas is pleased to announce the appointment of William Bedford as Engineering Manager and principle Technical Authority for the business. SecurEx design and manufacture the unique SX product range of locking and security products, which have been specifically designed for use in hazardous (Ex) environments. Professionally trained as an engineer, William has worked in design and engineering environments for around a decade in various businesses gaining experience in a wide range of disciplines. A postgraduate in Electronic Engineering, his proven areas of expertise include in turnkey product and solution design, source and supply, CAD/CAM, finite element analysis and problem solving. 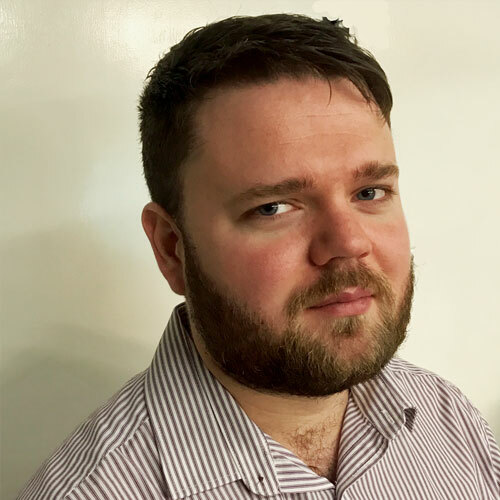 Specializing in recent years in engineering specialist products for hazardous area environments and holding further qualifications in this area, William brings an extra dimension of engineering skills and innovation to the SecurEx team. Around the world continued un-rest, terrorism, piracy and cyber attacks are prompting governments, business owners and systems managers to focus on how to best protect crucial infrastructure, assets and personnel from attack. Threats experienced today range from simple criminal attacks, focused on extortion or the theft of goods or assets, to the extremes of destructive terrorist attacks on-shore, piracy off-shore, civil unrest and even politically motivated cyber attacks by rogue nations. We recently heard of the major cyber attacks that brought parts of the NHS and other organizations to a standstill and we regularly hear stories of modern-day piracy, hi-jacking of vessels off the West Coast of Africa and acts of terrorist insurgency in other parts of the world. In every case the consequences of these events are dramatic, harrowing for the individuals affected and their families and very expensive and disruptive too for the organizations involved. Many times companies face a stark choice, either to pay a ransom or to ‘sit it out’ and hope: Hope that the criminals, pirates or insurgents will eventually release their hostages and/or their hold on assets. And hope that the damage to infrastructure and lost profits will not prove too great. It is surely only a matter of time before ‘unwanted attention’ such as described above is applied to highvalue, high-visibility critical infrastructure targets and it is against this background that SecurEx Technology operates in safety critical and highly hazardous environments where acts of this kind can have very major impacts on personnel, infrastructure and the environment. When confronted with the requirement to install a security solution in a hazardous area many in the security industry simply do not know where to start. They do not know the statutory and regulatory requirements, understand what can actually be installed in these areas; how it must be installed or even have access to the technology and products to create the perfect solution. SecurEx do, and guide clients every step of the way. We assist clients from site survey and system specification to product (or solution supply), installation and commissioning using both our own engineers and trained partners. SecurEx offer a comprehensive range of high quality products supplied either as individual components or as matched building blocks of a complete bespoke customised solution that can cover both safe and hazardous areas. Prevention is always going to be cheaper and less damaging than the cure; so being pro-active with your safety and security measures now is the obvious way forward given the risks. It is reassuring to know that specialist security and safety technologies are now available from companies like SecurEx Technology that can help harden infrastructure and help mitigate the risks associated with these attacks, but what are the options? 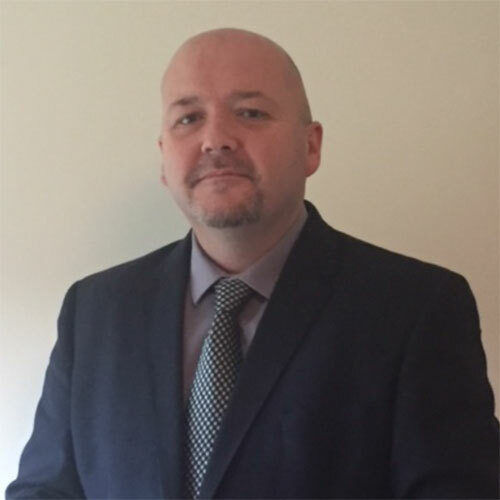 SecurEx Technology, the UK’s leading specialist provider of security products and solutions for hazardous areas is pleased to announce the appointment of Brian Connolly as Sales Manager for the business. SecurEx design and manufacture the unique SX product range of locking and security products, which have been specifically designed for use in hazardous (Ex) environments. Brian Connolly is an experienced sales leader who works closely with clients to provide them with specialist products and bespoke solutions to enhance both their safety and security. Brian’s consultative and knowledgeable approach to ‘Ex’ (ATEX) applications across multiple sectors will ensure our clients have complete confidence in knowing that they will be provided the right “fit and forget” solution. Brian has worked with both large ‘blue chip companies’ (such as GSK and ADMA) and with smaller specialist businesses. With over 20-years experience in securing key contracts, Brian has helped deliver significant sales growth and enhanced client satisfaction levels to each the companies he has worked with and we are delighted to welcome him on-board. His experience in both distribution and manufacturing environments has also enabled him to provide ‘supply chain consultancy’ where clients can benefit from his experience. SecurEx Technology, the UK’s leading specialist provider of security products and solutions for hazardous areas is pleased to announce the completion of a project for a major LNG installation in Northern France. SecurEx design and manufacture the unique SX product range of locking and security products, which have been specifically designed for use in hazardous (Ex) environments. 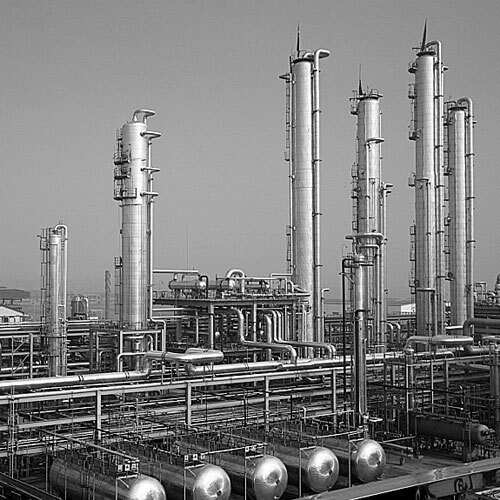 When a major LNG scheme needed to solve a hazardous area security problem that others could not, they turned to SecurEx Technology to provide the solution. They needed to be able to both monitor the ‘closed and locked’ status of various critical access gates fitted with conventional locks and also monitor ‘emergency keys’ kept locally to each gate ready for use in an emergency. Unable to find any solution elsewhere, SecurEx quickly provided the solution. 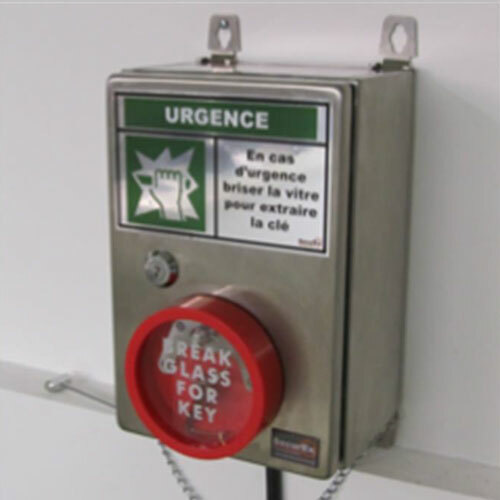 Providing security-monitored access to ‘Emergency Gate Keys’, SecurEx supplied the SX EX MONITORED BREAK GLASS FOR KEY SYSTEM (Part No: SX-MA- P10200A). This product has been specifically designed for use in hazardous (Ex) environments and saliferous atmospheres such as those at the LNG site. The system comprises of a small 316L IP66 stainless steel enclosure with a modified standard ABS ‘Break Glass for Key’ module mounted on the front door of the cabinet. Internal to the cabinet, a certified SX EX Limit Switch (type SX-MA-P10100A with SX-MA-P10120A adaptor kit) is factory fitted in such a way as to enable the switch to detect the opening of the cabinet door OR the break glass being used and the key withdrawn. The system provides changeover alarm contact. Simple end user installation is assured (achieved by 4 mounting points) with electrical connection being made via a factory fitted 3-metre cable. 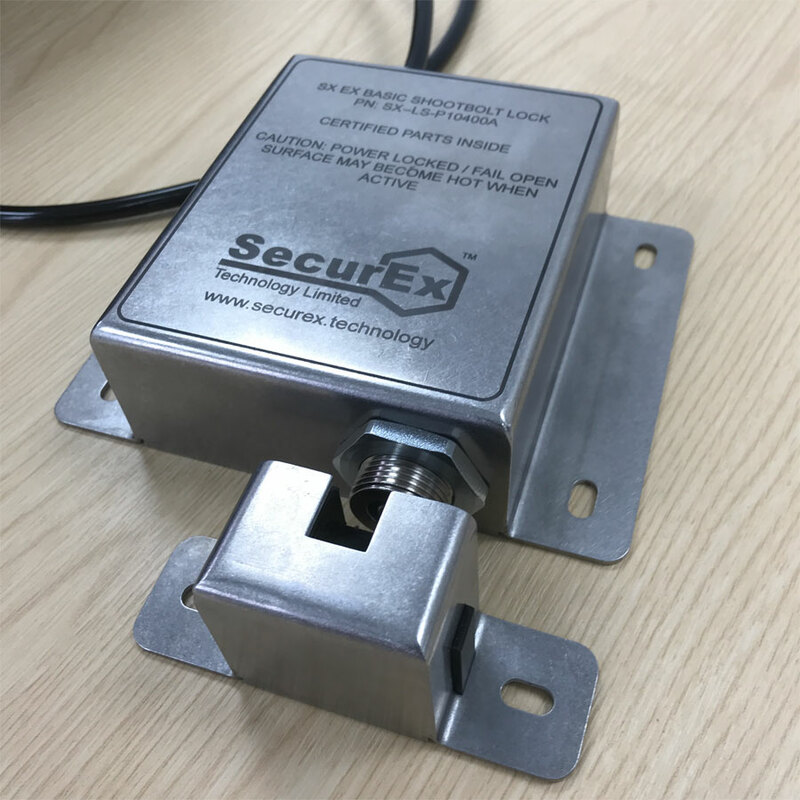 To provide reliable ‘gate status monitoring’ SecurEx supplied its multipurpose SX EX LIMITSWITCH with custom lock monitoring Adaptor Head kit. These devices were fitted to each critical access gate. 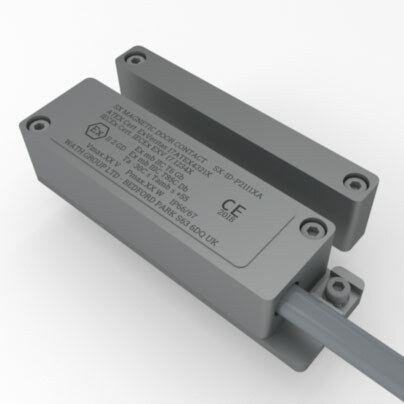 The SX EX Limit SWITCH comprises an ATEX & IECEx certified Ex 95 AZ class mechanically actuated, spring loaded changeover switch mechanism housed in a sturdy 316L stainless steel ‘clamshell style’ body. 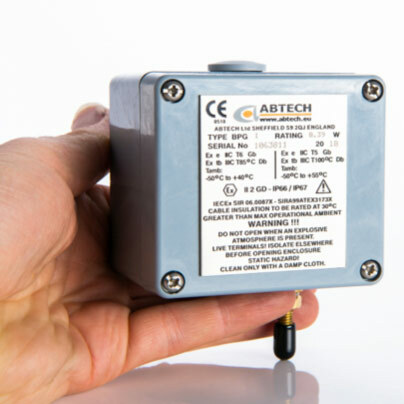 The switch body is designed to allow the switch unit to be used in multiple monitoring applications. As such numerous mounting options are provided on the casing to accommodate both left or right handed flush or face fitting). Simple user connection is achieved via a factory fitted 3-metre cable. A range of factory fitted switch head adaptor kits tailor the SX Ex Limit Switch for specific applications. This includes the special Adaptor Head Kit for Lock Monitoring applications that is adjustable for up 120mm spans (P/N SX-MA-P10112A) that was used in this application. 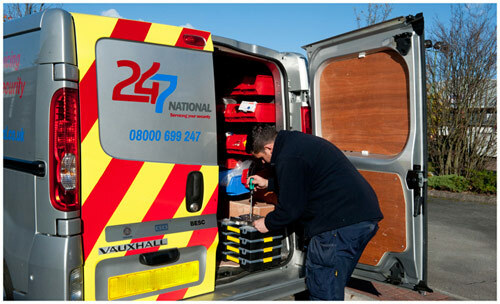 247 National Security Servicing both service and install high security locks within all industries and for all purposes - including top brands like Surelock, Mico, Abloy & Sargent & Greenleaf. SecurEx are please to announce that 247 National are adding the new SecurEx SX range, including the new SX Abryll, to their list of supported products. 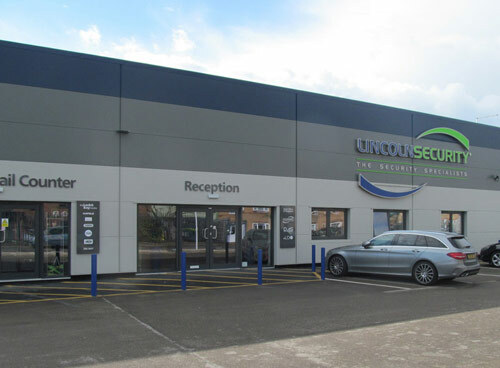 Lincoln Security, one of the UK’s leading specialist security businesses, have teamed up with SecurEx and established a trading relationship in order to offer SecurEx unique Ex Certified products to its industrial client base. Both Lincoln Security & SecurEx are highly innovative in the sphere of security solution deployment and it is planned that the companies will co-operated further on projects by looking to combine their respective expertise and generate further innovation. 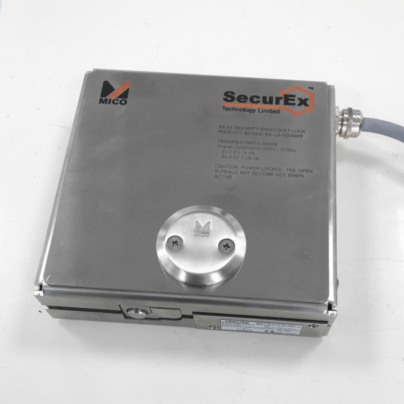 SecurEx Technology is pleased to announce that it is partnering with Surelock McGill & MICO Tindall Engineering in the development of new range of cutting edge electro-mechanically actuated locking solutions for use in hazardous areas. 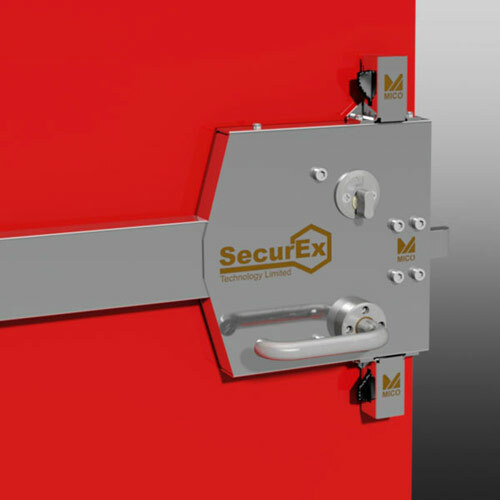 The agreement will see SecurEx Technology create and supply a unique comprehensive range of new Ex certified door locking solutions that have been tested to LPCB SR 2, 3, 4, 5 and 6 on selected single and double doorsets. The first joint product to be released is the SecurEx Technology SX Abryll High Security Single Point Locking system. Designed to meet the needs for physical security in Zone 1 and 2 areas it can be retro-fitted on existing doors or installed on new door sets. The locks can be fitted with high security ‘mastered’ key cylinder mechanical over-rides from the world’s leading ranges (such as Abloy & Kaba) to suit specific user requirements. The new SX Abryll sets the standard for high security in hazardous areas, with its certification and approval ratings making it suitable for installation and use on a comprehensive range of applications. Further Single and Multi-point locking options will follow release of the SX Abryll. The MICO Abryll range is extensively proven in use in high security applications in Utilities, Energy and Government sectors around the world, and is one of the highest security rated locking systems of its kind available in the UK today. SecurEx Technology offers a wide range of locking technologies to suit all user needs. The company manufacturers in the UK to the highest quality standards in a BS EN ISO9001 facility. All SecurEx Technology locking solutions have been developed with user requirements in mind and can be integrated with SecurEx’s own and most third party ACS, Alarm & building management systems.